To complete the income tax returns (ITR) filing process, an individual is required to verify the return filed by him. The return must be verified within 120 days of filing. Verification can be done digitally (using Aadhaar, one-time password etc.) or by sending the physical copy of ITR-V to the Central Processing Centre, Bengaluru, of the income tax department. An ITR filed but not verified is treated as an invalid return by the income tax department. An invalid return would mean that you have not filed the ITR for a particular assessment year. In that case, you would be required to file the ITR again as belated return because your original one is treated as invalid. However, in case there was genuine hardship faced by you due to which you could not verify your ITR on time, then there is a way which can save you from the hassle of filing your return again. An individual can file a condonation delay request (or accepting and giving reasons explaining why one hasn’t verified their ITR) on the income tax e-filing website. c) Income for which ITR is filed, is not assessable in the hands of any other person. STEP 2: Click on login. Enter your details: User Id, i.e., your PAN, password and date of birth. Enter the captcha code and click on submit. 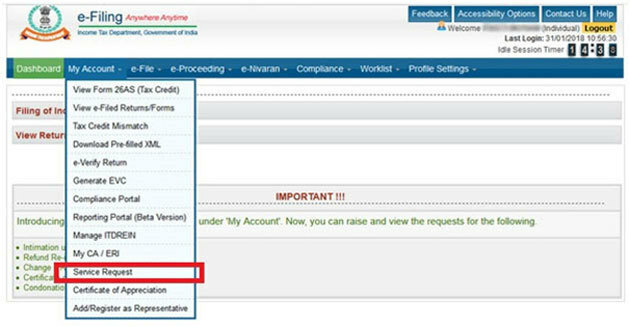 STEP 3: Once logged in, click on the ‘My Account’ tab and select the ‘Service Request’ option. STEP 4: From the drop down menu, select ‘New Request’ and ‘Condonation Request’ option and click on Submit. STEP 5: Submit your condonation request by selecting your reasons for delay and click on submit. As per the current tax laws, there is no specific time limit to file a condonation request if you missed the deadline of verifying your filed ITR. However, you should file the request as soon as you notice your mistake, says Chandak. Once you file the condonation request, you can track the status through the e-filing portal. However, there is specific time limit by which your application will be processed. Till the time your application is processed, delay is condoned in your return status and it will show the following message. 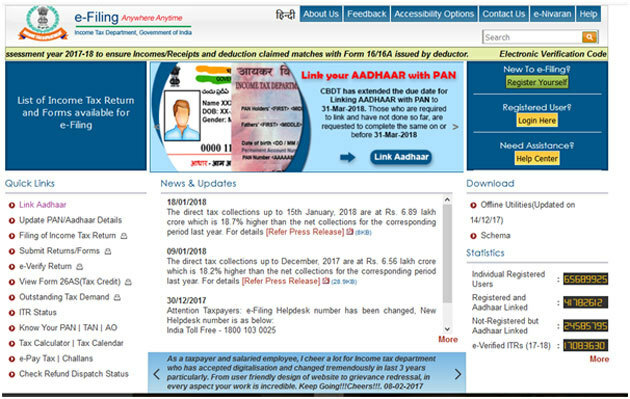 You will have to visit the e-filing portal to check if your request has been accepted.